Debra’s passion for photography and interest in fashion began in front of the lens, where she modeled for top agencies such as Ford in New York and Elite in Paris. Her experience as a model led her to appreciate the art of photography and eventually to become a photographer herself. She attended the prestigious ICP (International Center for Photography), where she honed her skills as a fine art photographer, assisted numerous fashion photographers and eventually opened her own studio in New York. Several years later, Debra moved to Connecticut with her family and developed a successful business photographing families and children, being recognized as one of the top portrait photographers in Fairfield County. Combining her fashion background with unique portraiture skills set her photos apart from the status quo, which resulted in a highly successful business over the years. 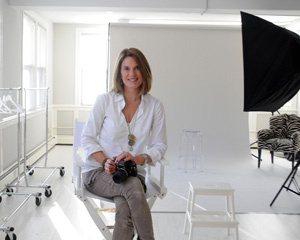 Debra Somerville Photography Studio is the leading center for fashion, commercial and personal photography in Westport. With her latest venture “Images Workshop”, Debra has rediscovered her love of fashion. Currently a model scout in NYC, Debra teaches what she knows best, ‘modeling 101’. Debra understands that being in front of a camera can be an intimidating experience. In the ‘workshops’, Debra and her team of stylists teach the “how-to” of modeling, gently guiding aspiring models through the basics, resulting in a supportive and nurturing experience.